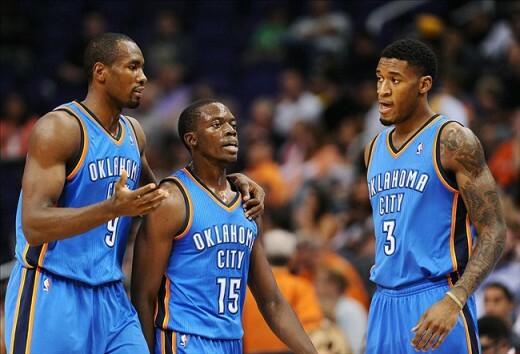 The Oklahoma City Thunder’s M.O. for the last month has been to go up about 2 games in the race for the 8th and final playoff spot in the West, only to go on a losing streak (two in a row, three out of four, etc) that threatens that positioning. The time is running short for the Thunder to continue this up and down cycle of playoff positioning. At the same time, the Thunder also have aspirations of reaching the Dallas Mavericks for the 7th seed. The Mavs have an extremely rough patch coming up in the next two weeks, and could possibly lose some ground in the next 7 games. This season has been a Sisyphean task, but with 12 games left, the Thunder are in position to make the best of their early season misfortunes. This is the third and final meeting of the season between these two opponents. The Thunder won the first two meetings, but against one of the worst teams in the league, the average margin of victory has been only 4 points. 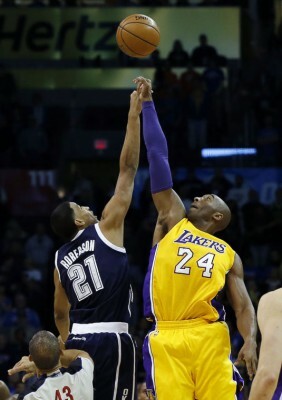 The Thunder were without Kevin Durant during the first meeting and needed an Andre Roberson defensive stand to prevent a Kobe Bryant game winner. 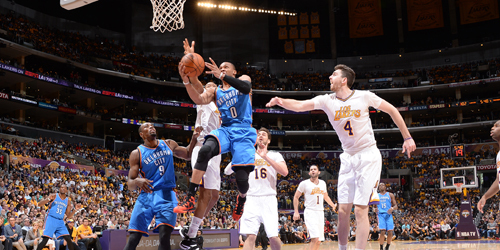 In the 2nd meeting, the Thunder were without Durant and Russell Westbrook, but still kept the Lakers at bay behind good performances from DJ Augustin, Enes Kanter, and Jeremy Lamb. 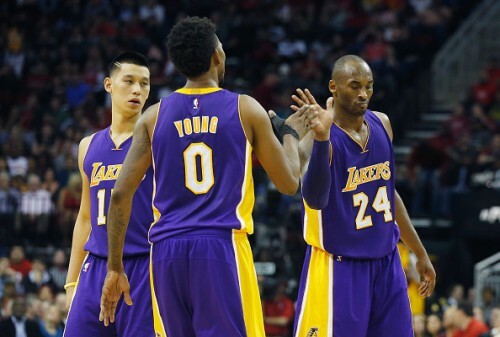 The Los Angeles Lakers currently find themselves with a record of 18-50, which is the 4th worst record in the league. It has been a tumultuous year for the storied franchise, but not that any of that was unexpected. Kobe Bryant’s return from injury was marred by another season-ending injury, this time his shoulder. Steve Nash’s season, and career, apparently, was ended by luggage (no, seriously, luggage) before the season even started. And the Lakers’ star rookie, Julius Randle, played in only 1 game before succumbing to a broken leg. The issue with the Lakers this season has been defense. They rank 28th in terms of opponent’s points per game (104.5) and defensive rating. The offense is led by rookie Jordan Clarkson, who is averaging 9.8 points and 2.7 assists per game. Joining him on the wings are veteran guard Wayne Ellington and veteran forward Wesley Johnson. The power forward spot will see a change in this game, as Ryan Kelly will replace Jordan Hill in the starting line-up. Why? Because, it’s the Lakers, I guess. And the center spot will be manned by former Houston Rocket Tarik Black. 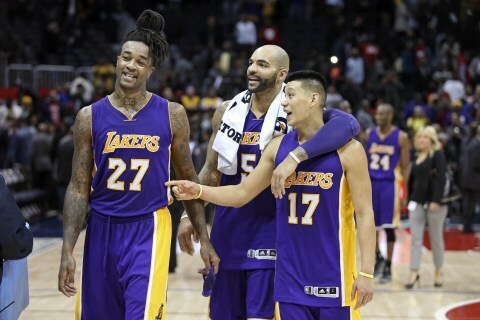 The bench for the Lakers is veteran-laden, led by Jeremy Lin, Carlos Boozer, Ed Davis, and Jordan Hill. 1. Establish the Interior – Enes Kanter has had a double-double in 6 of the last 7 games he has played. Steven Adams has had a double-double in the 4 of the last 5 games. Ryan Kelly and Tarik Black are starting for the Lakers. 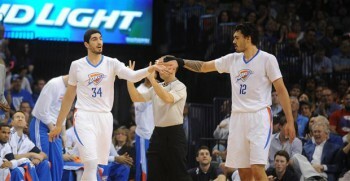 If Adams and Kanter don’t each end up with a double-double at the end of the game, it will be highly disappointing. 2. Stop trying to block lay-ups from behind – In the last two games, we’ve lost two rotation players (Nick Collison and Andre Roberson) with sprained ankles on “from behind” block attempts. Let’s not make it a hat trick for this crazy statistic. 3. 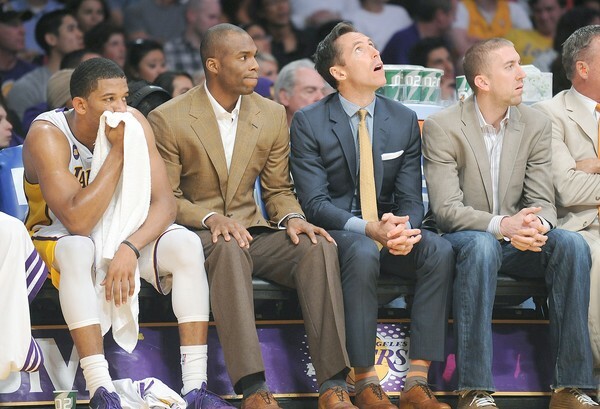 Bench – The bench for the Lakers worries me a bit because of their veteran presence. The Lakers are a bit weird in that their bench players would be starting if they weren’t needing to keep their pick. In case you didn’t know, the pick goes to the Philadelphia 76ers (via Phoenix) if it’s outside the first 5 picks of the draft. Jeremy Lin, Carlos Boozer, Jordan Hill, and Ed Davis are all capable of having good to great games at any time. With the Thunder’s own depth being a bit depleted by injuries, the bench could become an issue in this game. If you look at the recent history of the game, every great player who has won a championship needed a championship level coach to push him to the promise land. And by great player, I mean the transcendent players of their generation. In recent memory, those players have been Michael Jordan, Kobe Bryant, and LeBron James. Each of these players needed to go, not only through adversity, but also through a coaching change before they led a team to the championship. Tim Duncan should also be included in the list, but he has played for the same coach his entire career while racking up 4 titles in the process. 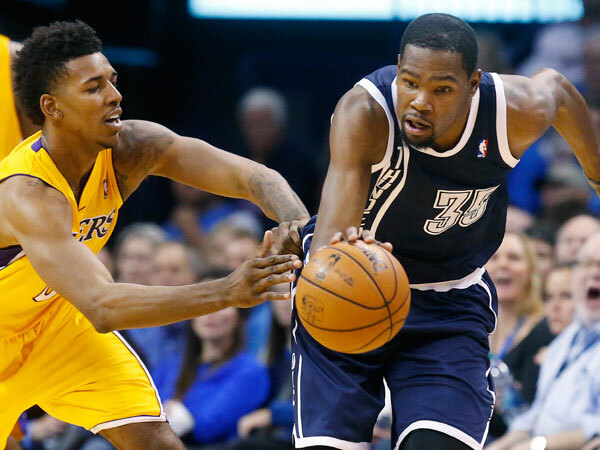 Kevin Durant, of the Oklahoma City Thunder, is paving his path towards being a transcendent player. He is on his way to winning his 1st MVP, has won 4 scoring titles before the age of 26, and leads a team that has been a championship contender for the past three season. He has a top 10 player by his side in Russell Westbrook, a versatile big man that can block shots and hit mid range jumpers in Serge Ibaka, and a great 6th man in Reggie Jackson. With all this at Durant’s disposal, why is it that the Thunder are struggling with their first round opponents, the Memphis Grizzlies? The answers to that question are like pieces of a puzzle. When you analyze everything, you’ll see that many factors are contributing to the Thunder’s struggles in the first round. First off, Memphis is not your run of the mill 7th seed. The Grizzlies struggled out the gate due to Marc Gasol’s knee injury, but finished the season on a 33-13 tear that brought them up to the 7th seed. 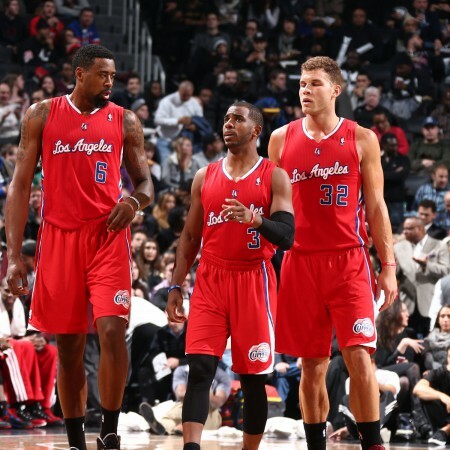 Without Gasol’s injury, this team probably finishes in the top 5 in the Western Conference. The next factor is that Memphis is built for the playoffs. They are a half-court oriented offense with one of the best defenses the league has to offer. And, their core is playoff-tested and has been together for at least 4 seasons. But these factors are more a microcosm of who the Grizzlies are. 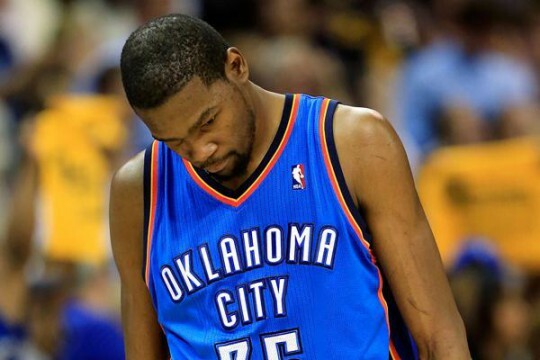 It’s what the Thunder are doing (or not doing) that is affecting them in this series. Oklahoma City is a team that can play a variety of ways, but they’re at their best when they are running in transition and causing havoc in the paint through penetration. But those things tend to get muddled in the playoffs. Teams protect the ball more and defenses make it a point to protect the paint. Less turnovers means less transition opportunities. 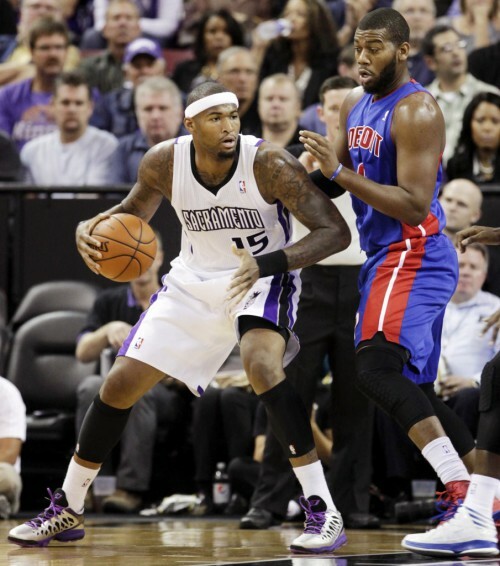 More defenders in the paint means less avenues to get to the basket. 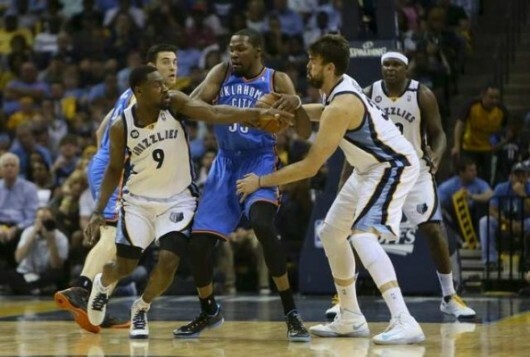 Unfortunately for the Thunder, the Grizzlies are great at two things: protecting the ball and defending the paint. But with players as dynamic as Durant, Westbrook, Ibaka, and Jackson, the Thunder should not be struggling as bad as they are in this series. Part of that could be attributed to bad luck as both Durant and Westbrook seem to be in shooting funks. Part of that could be the Grizzlies’ defense, which packs the paint and dares you to beat them with perimeter shots, of which the Thunder aren’t making. But a lot of the Thunder’s problem has to do with scheming (or lack thereof), and that falls squarely on Scott Brooks. Unfortunately, this has always been the knock on Brooks. The lack of an offensive system rarely rears it’s head for the Thunder, except when the transition faucet is turned off, the paint is packed, and the shots aren’t falling. It’s understandable that you would have an iso-oriented system when your two best players thrive in isolation situations. But it’s also important to have a system in place when the defense keys in on those two players. And that’s what is severely lacking for the Thunder in this series. It’s almost asinine that Brooks, with the weapons he has at his disposal and the amount of time he’s had those weapons, would never have created a fail-safe offensive system that would play, not only to the strengths of his stars, but also to the strength of the role players around them. 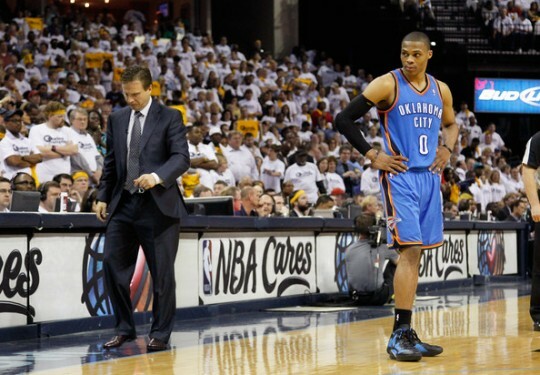 Brian Windhorst of ESPN tweeted during Game 3, “Grizzlies know all of OKC’s plays. When the 1st option is taken away the Thunder often just shut down their offense.” If anything, last season should have been a sign that the team needs an offensive system outside of superstar iso-plays. When Westbrook went down, it should have signaled to Brooks that a change was needed in order to prevent what happened in last season’s playoffs. Instead, with Durant and Westbrook both in tow, it seems as if Brooks has defaulted even deeper into superstar isolation mode. It’s either that, or those two superstars aren’t trusting their teammates, which leads them to take it upon themselves to try and save the day. Whether Brooks is heeding both players to look for teammates more or not, this still goes back to Brooks. If isolation ball isn’t working, get onto your superstars and tell them to run the offense. Oh yeah, I forgot. There is no offense. Ibaka, one of the best release valves in the league and probably the best target for a pick and roll outside of Durant and Westbrook is getting completely frozen out of the offense in the fourth quarter and overtime. Jackson, who up until Game 4, was struggling mightily, was basically benched for games 2 and 3. 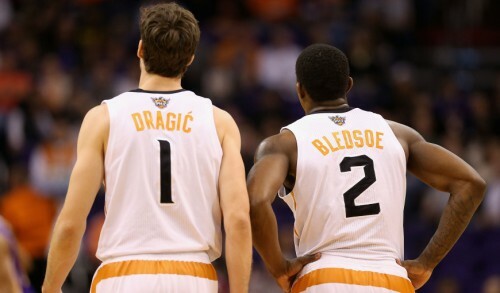 Brooks could have and should have incorporated those two into the offense even more, especially in Games 2 and 3. Instead, the Grizzlies defenders keyed in on the superstar duo and made it extremely difficult for them to get into their sets, let alone get off a good shot. The other transcendent players I talked about in the opening had to endure coaching changes that brought about success. Michael Jordan went from Doug Collins to Phil Jackson. Kobe Bryant went from Kurt Rambis to Phil Jackson for his first three championships and from Rudy Tomjanovich to Phil Jackson for his next two championships. LeBron James went from Mike Brown to Erik Spoelstra for his two championships. The one constant between these two coaches is that they had an offensive system to fall back on. They had great players, but also a system that helped them out offensively if the opponent was exclusively targeting the star player. Jackson had the triangle offense and Spoelstra has a system that spaces the floor for James, Wade, and Bosh to operate. It’s especially frustrating when you compare Brooks to Spoelstra. Both are young coaches in their first head coaching gigs who were basically gift-wrapped super-teams. Spoelstra found a way to develop a system that played to the strengths of all his players. Meanwhile, Brooks is still relying on the greatness of a couple players to get him out of jams. Westbrook and Durant are good enough to win you enough games to stay employed. Don’t get me wrong. I don’t think Brooks is a bad coach. He’s done a great job in developing the talent OKC was loaded with over the years. 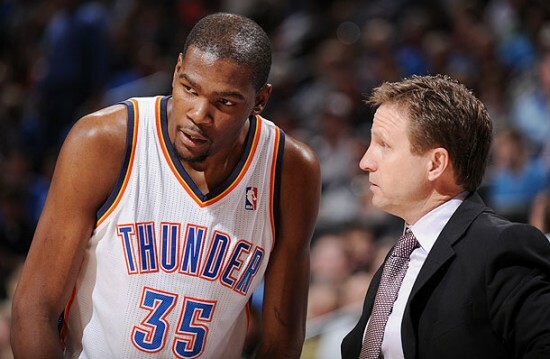 He’s done a great job managing egos and developing the culture the Thunder are now known for. But as an X’s and O’s coach, I think Brooks has hit his ceiling. Just like players eventually reach a point where they no longer improve, I think Brooks has gotten to that point with this team. I’ve always said that Brooks is a great coach to lead us to the mountain and maybe even to get us halfway up the mountain, but it will take another coach to get us over the mountain. If Durant and Westbrook are ever to get over the hump, they may have to do it with another coach at the helm. I hope I’m wrong, but I’ve experienced too much of Brooks to think otherwise. Since the NBA’s first season in 1955-56, there have been 58 MVP’s. Those MVP’s have been won by 29 different players in 19 different cities (four of which currently don’t have NBA franchises). Of the 30 teams in the current NBA, 15 of those cities have never experienced an MVP season by one of their players. So when the inevitable happens and Kevin Durant is named the 2013-14 NBA MVP, Oklahoma City will join an exclusive fraternity of cities that have experienced a magical individual season by one of their players. Oklahoma City has been lucky enough, in its short time as an NBA franchise, to experience a Coach of the Year (Brooks, 2010), a Sixth Man of the Year (Harden, 2012), and a Rookie of the Year (Paul, 2006 with the New Orleans/OKC Hornets). The ultimate goal as a sports franchise is to win a championship. But what are teams but a collection of individuals. And if your team, if your city, houses the best individual player in that sport, that is like winning a championship in and of itself. When an MVP season plays out, you see it coming. Of the 450-500 players that cycle through the league in a given season, only about 2-3 players are deserving of even being considered for the top individual prize in the NBA. And if you, as a fan of that team, are lucky enough to enjoy that experience, then you need to savor it. Because for as much as we like to think that MVP’s and championships will beget more MVP’s and championship, the future is never a definite when it comes to sports. The Russell Westbrook injury last season taught us that. A twist of the knee here, a tweak of the back there, an argument with the front office, and that player could be gone in an instant. Prime example is the last man to win an MVP not named LeBron James. Chicago Bulls guard Derrick Rose won the MVP in his third season in the league. He looked well on his way to contending for (and possibly winning) multiple MVP’s. But you know the rest of the story. Injuries and re-injuries have completely derailed his career to the point where we wonder whether he’ll ever get back to the MVP form he had pre-injury. It’s not everyday you get to witness greatness. There are plenty of good players in the league. In any given game, you may see a 20-point scorer, a double digit rounder, or a defensive maven. Most nights the names change. But for MVP candidates, that dominance is seen on a night in/night out basis, over the course of an entire season. That degree of excellence goes from late October usually into late May/early June. That consistency is probably the biggest factor in determining who is MVP-worthy and who isn’t. It’s easy to get up for a game against Miami on a prime time Thursday TNT telecast. It’s that much harder to get up for a Tuesday night game in January against the Milwaukee Bucks. But those select few do it every night. 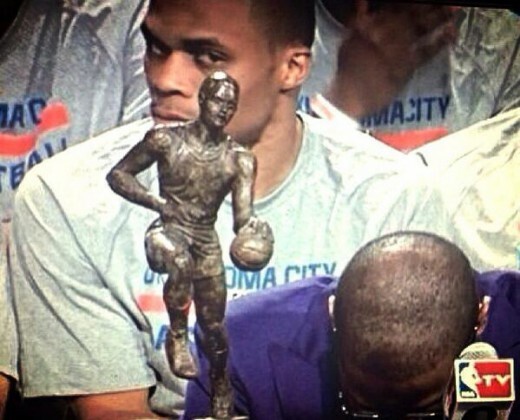 Eat it up Oklahoma City. Our story is a weird one in which we were basically gift wrapped a once in a generation player. Most cities, when they first get a team, have to toil around in the dredges of the league before they finally find those couple of players that actually make them competitive. But OKC was like “insta-rice”. We got the team, popped in the microwave for one minute (season) and, Voila!, playoff contender. It happened so quickly, that media decided to call it the OKC model of team rebuilding. This model, though, only works if you get a player like Durant in your clutches. It will be very interesting to see where teams like Orlando, Philadelphia, Milwaukee, and New Orleans stand in about 3 years when their rebuilds should start bearing fruit. 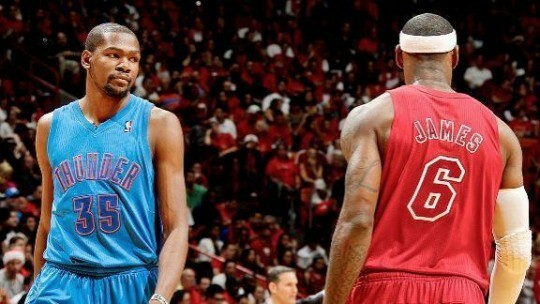 I always wonder how the OKC fan base will be react when this current run ends. Whether its in two years (a.k.a Durant’s free agency) or in 15 years, Thunder fans have been spoiled beyond belief. But this is the NBA, and success is very cyclical, especially for small market teams. Most Oklahoma fans suffer from what is locally called, the “Sooner mentality”. In three words, the Sooner mentality means “Championship, or bust!”. And we are starting to see that with Thunder fans. Lose a game in a series, and there is a section of fans that is clamoring for Scott Brooks’ head on a platter, and another section clamoring for Thunder GM Sam Presti to sign every available free agent, luxury tax and careful budgeting be damned. Those are the fans I wish I could grab by the shoulders, shake them a bit, look into their eyes, and say, “Stop worrying and enjoy this moment! It may repeat itself next season, but it also may be a once in a lifetime event”. 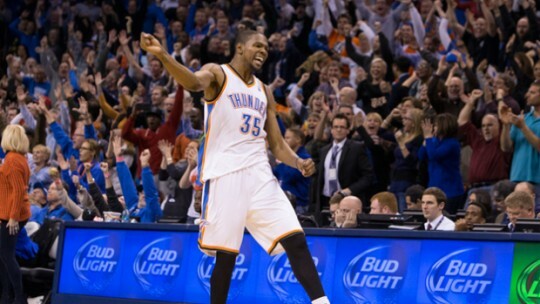 As we enjoy this moment, look back on the season that made Durant an MVP. Don’t focus on the numbers though. Even though the numbers improved, they don’t tell the entire story. Focus on the maturation of the man. Many players hit their head on ceilings they create because they get satisfied with what they’ve accomplished. Like the theme in the poem Ozymandias, they stand there relishing their accomplishments without realizing their satisfaction will eventually be their downfall. Durant could have been one of those players, and he still would have been considered great. But, instead, he took the hard lessons from the previous season and focused on how he could get better. It is a rare trait in a player to never find satisfaction in their successes. Instead of basking in the glow of their brilliance, they instead survey the field and know that others will be coming after what they have. LeBron James made that transition three seasons ago. Kobe Bryant before him. And Michael Jordan before him. This is the road the Durant is on, and luckily, for us, like Route 66 and I-44, that road runs straight through Oklahoma City. Congratulations Kevin. We are all proud of you. Never, in recent memory, has this team been what I like to call “consistently inconsistent”. But that’s what the Thunder have been in the past 9 games. The results of their last 9 games have gone as followed: Lose 3, Win 3, Lose 2, Win 1. The win against the Houston Rockets in their last game may have quieted some of the rumblings concerning team unity, but consistent play may be the only way completely silence those concerns. This will be the 4th and final meeting of the season between these two teams. The Thunder lead the season series 2-1. The season series has been a clash of styles, especially for the Lakers. 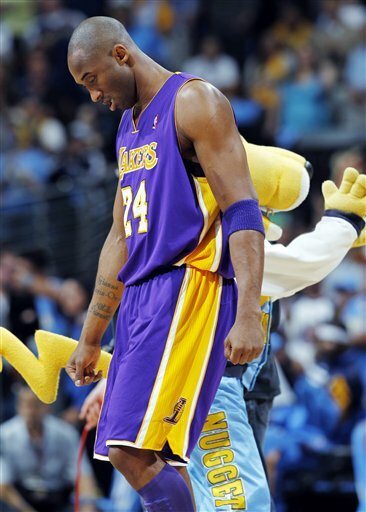 In the first game, the Lakers were still getting acclimated to life with Kobe Bryant and lost 122-97. The second and third games of the series have been a different story. 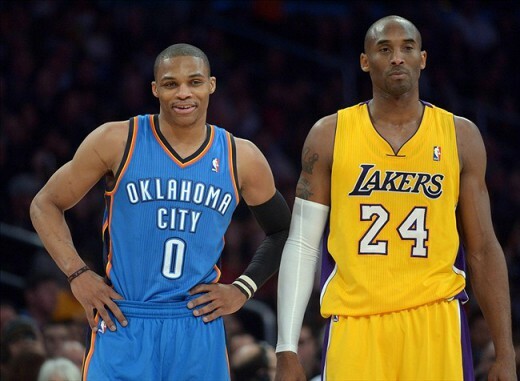 Both games have been decided by 4 points, with the Thunder winning one and the Lakers winning the latest one. With the news that Kobe Bryant will officially be out for the season, the Lakers can fully immerse themselves in the D’Antoni ball experience. Even though he only played 6 games for them, the Lakers were a different team with Bryant. The offensive pace slowed and the ball stuck in Bryant’s hands more. With him out, the Lakers are highly dependent on transition opportunities and 3-point shooting. That lends itself to a frenetic, fast paced style of basketball that leans on points and not defense. The wing heavy line-up of Jodie Meeks, Wesley Johnson, Jordan Farmar, and Kent Bazemore spreads the floor out with their 3-point shooting. 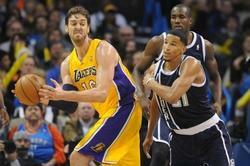 Kendall Marshall does a good job of setting up his teammates, while Pau Gasol does his thing from the post. 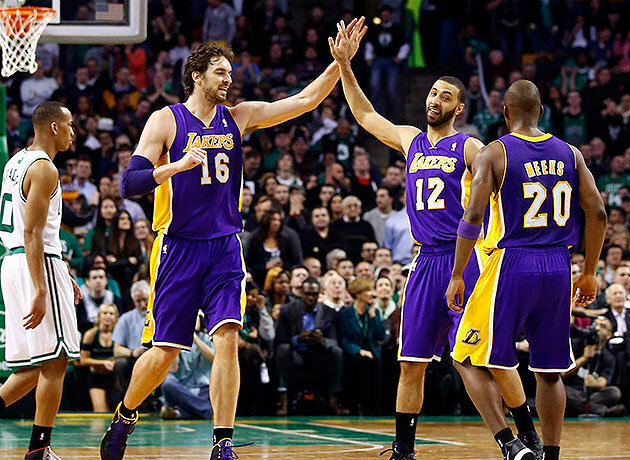 The bench is inconsistent, but can be effective at times due to the Lakers’ style of play. 1. Perimeter defense – The Thunder focus a lot of their defense on the interior and hope that their length disrupts opposing shooters into missing shots. And that works most of the time, especially when legs begin to tire in the 4th quarter. 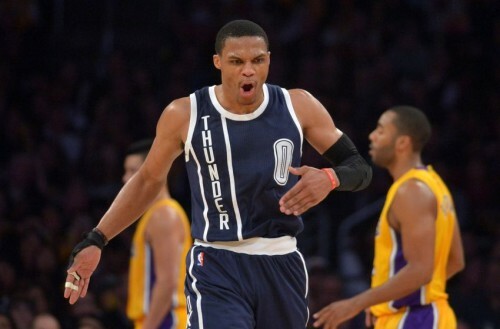 But if a team catches fire, similar to what the Lakers did in the 2nd half of their previous meeting with the Thunder, then the Thunder can find themselves in a hole, quickly. 2. Andre Roberson – While I like Perry Jones in the starting line-up against most teams, the Lakers don’t have a traditional line-up. Putting Jones on a player like Meeks does not make use of Jones’ strengths. A player like Roberson is more apt to better defend a shorter, quicker player like Meeks on the perimeter. 3. 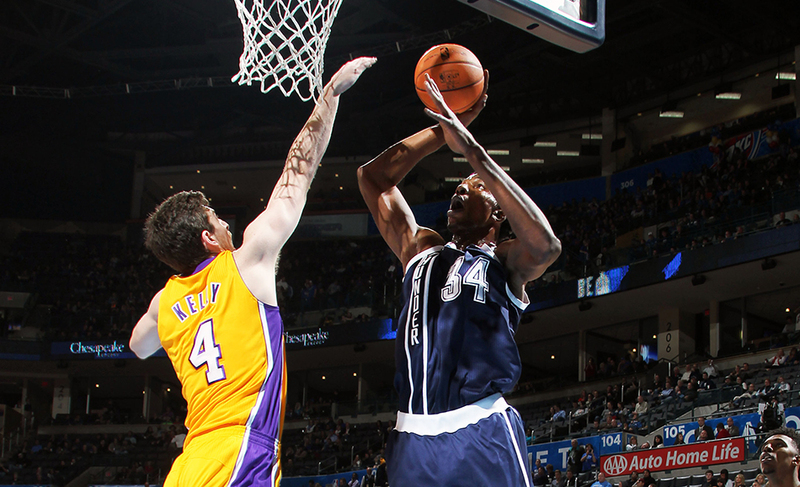 Keep your foot on the pedal – The Thunder don’t have a problem building leads. They’ve led by double digits in each of the past 3 games. But their problem is complacency once they build the lead. They get careless on offense and porous on defense. The Thunder did a much better job of staying focused in the Rockets game. They held the Rockets at bay most of the second half and held on to win the game. (Bonus) 4. Reggie Williams – This is the final game in his 10-day contract. Can we please get this man some playing time?? ?